Sometimes my desires don’t line up with God’s plans for me. Sometimes the unexpected life turns are welcome and other times I question Him. Facing the reality of secondary infertility I wonder, how can the desire for another child be so wrong? Why does everything have to be so difficult? Why does life have to be so hard? 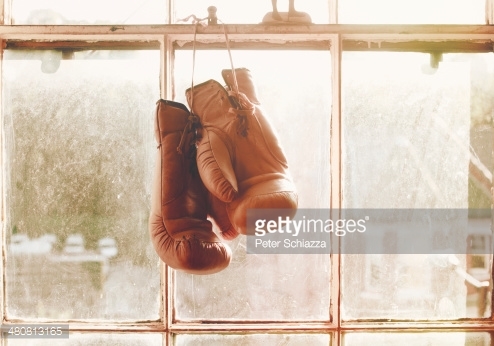 Forgive my cheesy analogy, but life is like a boxing match. I get in the ring with my opponent, Life, and throw some punches. I can take most of the punches too. Then there is that one blow that knocks me off my feet, flat on the ground. 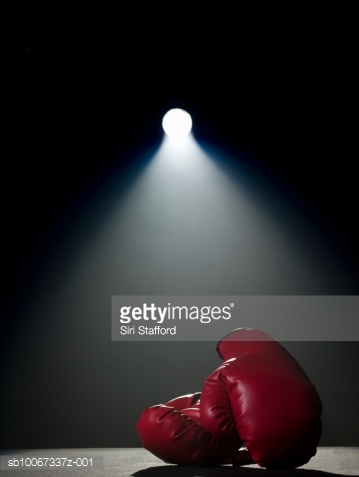 Do I eventually get up again, start the circle dance with my gloves back up in a fighting stance? Or do I just need to lie there like a dead fish and wave the white flag? “We do not want you to be uninformed, brothers, about the hardships we suffered in the province of Asia. We were under great pressure, far beyond our ability to endure, so that we despaired even of life. Indeed in our hearts we felt the sentence of death. But this happened that we might not rely on ourselves but on God, who raises the dead. He has delivered us from such a deadly peril, and He will deliver us. On Him we have set our hope that He will continue to deliver us,” (2 Corinthians 1:8-10 NIV). I am not strong enough to go toe to toe with Life all by myself. Jehovah is strong and He is willing. All I have to do is loosen my grip on the “what I want” and instead embrace, “not my will, but Yours be done”. Just as He spoke directly into Paul’s pain saying, “My grace is sufficient for you, for My power is made perfect in weakness,” (2 Cor. 12:9 NIV), the Shepherd of my soul whispers these loving words into my heart. The Father works through submissive servants. If my will does not align with His, there will be struggle and the Spirit’s power in me is stifled. God wants my obedience and trust more than He wants my ideas. He lovingly spells it out in Scripture because God knows we need to see His promises in black and white (sometimes red) right in front of our face. That is why He has given us His words as gentle reminders of Who is really in control. He also shows us that He isn’t a cruel dictator either, but uses the living Word to woo us to Himself. “ ‘For I know the plans I have for you,’ declares the Lord, ‘plans to prosper you and not to harm you, plans to give you hope and a future. Then you will call upon Me and come and pray to Me, and I will listen to you. You will seek Me and find Me when you seek Me with all your heart’” (Jeremiah 29:11-13). “I have fought the good fight, I have finished the race, I have kept the faith. Now there is in store for me the crown of righteousness, which the Lord, the righteous Judge, will award to me on that day- and not only to me, but also to all who have longed for His appearing” (2 Timothy 4:7-8 NIV). When I don’t understand life circumstances, when I feel too weak to stand, when Life pelts me to the ground, I look up. His Hand reaches down to lift me up. He tells me to get behind Him as He acts as my Shield. I am not fighting alone, and I never have to. “But the Lord stood at my side and gave me strength, so that through me the message might be fully proclaimed and all the Gentiles might hear it. And I was delivered from the lion’s mouth. The Lord will rescue me from every evil attack and will bring me safely to His heavenly kingdom. To Him be glory for ever and ever. Amen” (2 Timothy 4:17-18 NIV).